Did you know that more than 4.5 million Americans are bitten by dogs every year? More than 800,000 people require treatment for those dog bites. Unfortunately, dog bites just aren’t as rare as you may think, and sometimes you can get surprised by a bite from your own dog. Why do so many dogs bite people every year? What should you do if your dog bites you? We have the answers you’re looking for. Dogs always have a reason for biting, even if you can’t figure it out at first. 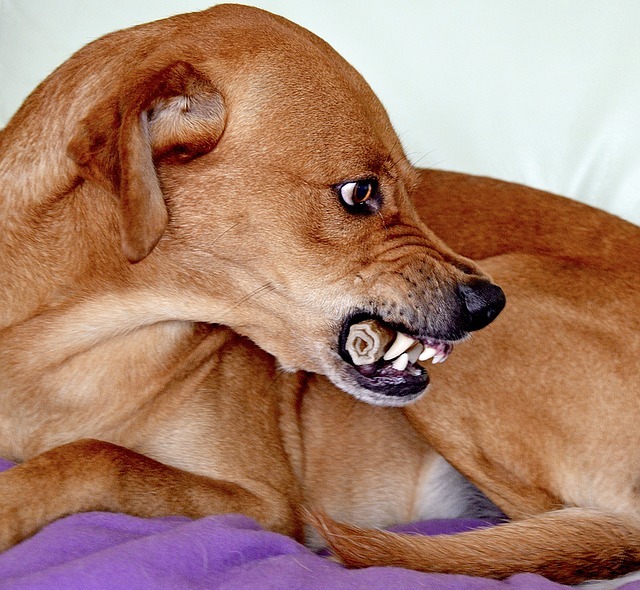 These are the six most common reasons for dog bites. Puppies explore the world with their mouths. Usually, as they play with their siblings, if they bite too hard, the other puppy will yelp and stop playing and they learn that biting too hard makes play stop. Some puppies never learn this bite inhibition, however, especially if they were taken from their mothers at a very young age or if they didn’t have any littermates. It will be up to you to teach your dog not to bite. If your puppy (or older dog who never learned bite inhibition) bites you when you’re playing, yelp and then make your hand go limp. Ignore your dog for 20-30 seconds so they learn that biting stops play. Offer a toy for your dog to bite instead of your hand. If these techniques alone don’t work, you can try a deterrent spray such as Bitter Apple Dog Chew Deterrent or Yuck! No Chew Spray to teach your dog that biting is gross. Dogs are masters at hiding their pain – until you unintentionally make the pain worse, say by pressing on a sore joint too hard when petting your dog. Signs that your dog is in pain include licking one spot repeatedly; whimpering, whining or growling; altered breathing; changes in sleeping, eating and drinking; and aggressive behavior. If your dog is displaying symptoms of pain, you should take him to the vet immediately to determine the cause of your dog’s pain. Many dogs were bred to hunt and may become a little overexcited during play time. For them, a game of tug of war kicks up their natural instinct to kill, and if your hand gets in the way, so be it. If your dog gets overly stimulated by games like tug of war, try switching to fetch instead. Also called resource guarding, some dogs feel the need to protect their food, bones, or toys at all costs. This is the most dangerous reason for a dog to bite since it isn’t accidental. Resource guarding takes a lot of training to get under control. First, your dog must understand that you provide everything they need. Before giving them food, water, treats, or toys, make them wait for your permission to access those things. This should help him understand that everything is actually yours instead of his. Meanwhile, teach your dog “leave it” and “drop it” by exchanging items of value for items of higher value. This helps your dog understand that they aren’t allowed to have things without your permission. You can also show your dog that allowing you near their precious resource is a good thing by offering treats as you get close to them and their resource. These techniques may not work, and you may need to enlist the help of a Certified Professional Dog Trainer (CPDT) who has experience rehabilitating dogs who suffer from extreme resource guarding. If your dog recently gave birth and you approached her and her puppies too quickly, she may have bitten you out of a maternal instinct to protect her puppies. Try approaching slower and letting her get used to the idea of you handling her puppies. Dogs usually display fear aggression towards strangers, but they may be afraid of you, as well, especially if you recently rescued or adopted them from a neglectful or abusive situation. It will take time to earn your dog’s trust. Take your dog for lots of walks. Play with him when he is up for it. 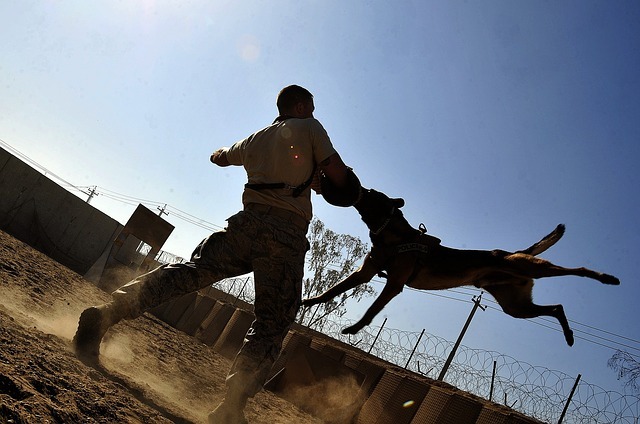 Approach your dog from the side at a crouch instead of coming straight at them standing tall. Be consistently fair. Eventually, your dog should learn that he can trust you not to hurt him and he should stop biting. What should you do after your dog bites you? Overreacting can make the situation worse, especially if your dog is reacting out of fear. 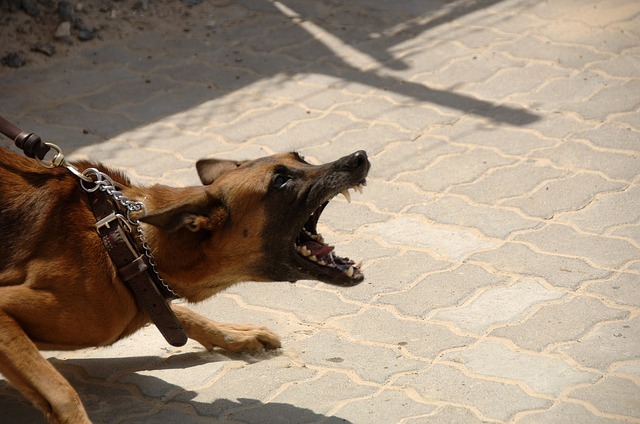 Yelling at or hitting your dog will only cause him to become more fearful or aroused, making the situation even more dangerous. Keep your dog in another room while you take care of your wound in order to give both of you time to cool down. The biggest problem with dog bites is the risk of infection. Dogs carry a lot of bacteria in their mouths, and even a seemingly minor bite can become limb- or life-threatening if left untreated. If your dog bites you hard enough to break the skin, follow these steps to reduce the chance of infection. -Press on the wound to make it bleed. 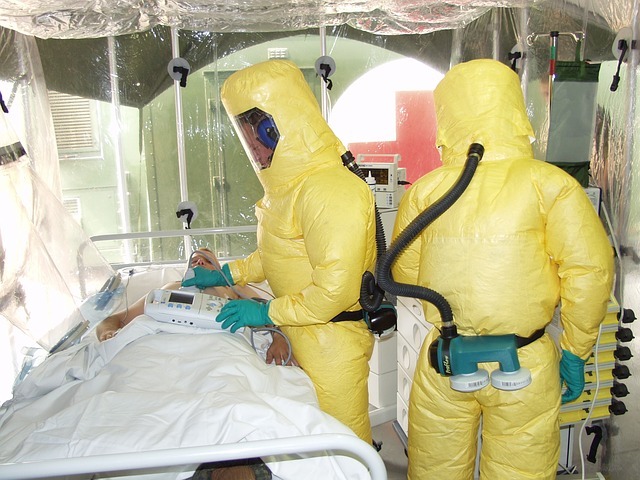 This will help force out some of the bacteria that may have gotten into the wound. -Wash the area with soap and water. Don’t use peroxide or alcohol since these can destroy healthy tissue, which can lead to other problems. -Apply pressure with a clean cloth to slow down bleeding. -If you have any, apply an antibiotic cream such as Neosporin. -Bandage the wound and go to the doctor. Since the risk of infections is so high, it’s recommended that anybody with a dog bite should visit the doctor as soon as possible, preferably within 8 hours. If you’re bitten by your own dog, you should bring his vaccination records with you. You should also try to figure out the last time you had a tetanus vaccination. The doctor will likely give you a tetanus shot if you haven’t had one for a while, prescribe antibiotics, and possibly start a rabies protocol if you don’t have proof that your dog is current on his rabies vaccination. 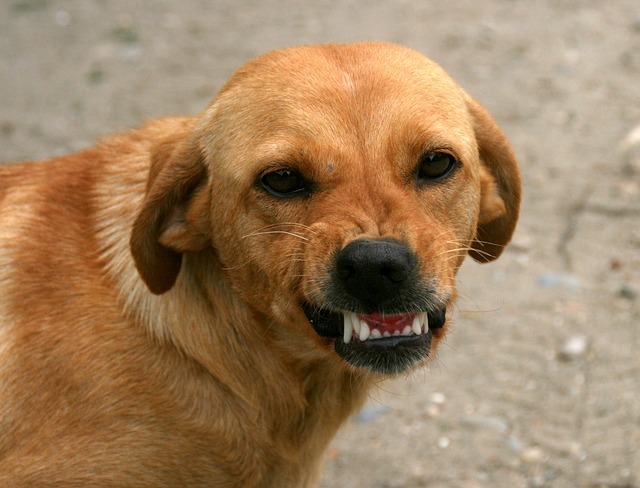 Dog bites typically aren’t stitched up unless they are especially severe or are on the face since closing the wound increases the chances of it becoming infected. Follow your doctor’s directions about how to take care of the wound while it heals. That will likely include changing the bandages several times a day. Always take the full course of antibiotics that you are prescribed. Failing to do so leads to antibiotic-resistant bacteria and may also cause an infection to flare up after you thought you were in the clear. If the wound becomes red or swollen, you develop a fever, or the pain gets worse, go back to the doctor immediately. These are signs of infection which can lead to amputations or even death if left untreated. Once the situation has calmed down, try to figure out what caused your dog to bite you. This is a crucial step to avoid being bitten again. Failing to address the root cause of your dog biting you can lead to another bite which could be even more severe than this one.